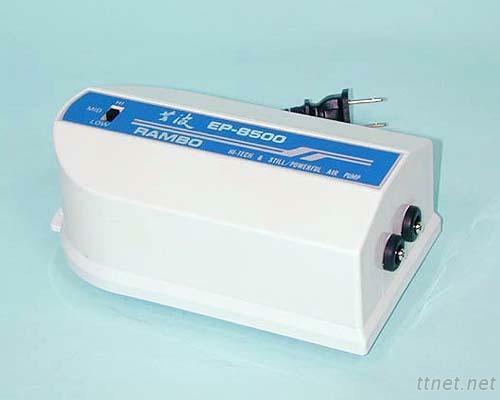 Aquarium Pumps - High quality Taiwan Aquarium Pumps provides by Rambo Aquarium Co., Ltd.
. Strong dual outlet three-phased aquatic air pump with three adjustable air flow volume. Suitable for medium and large fish tanks or ponds. Low noise level, increases oxygen level in water and long service lifetime. 24 hours operational, no lubricants needed. Aquarium Motors,Aquarium,Air Pump,Pump,Motor,Aquarium Pumps,Rambo Aquarium Co. Ltd.